Hello everyone, and thanks for checking out my YouTube Channel! The first big game of 2019 is here! Yes, the Resident Evil 2 remake has been released, and I thought it’d be the perfect game to stream some gameplay footage for you over on my YouTube Channel. The original Resi Evil 2 was released in 1998, it capitalized on the success of the series’ first game, and quickly became a mega hit! 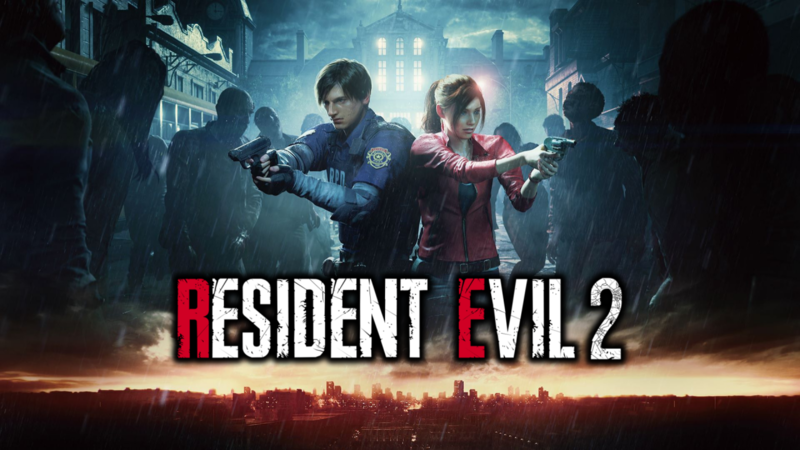 Its arguably one of the best survival horror games ever, so I’ve been really looking forward to this new version of the game, and I’m pleased to say I’ve found the new Resident Evil 2 remake to be every bit as scary and as fun to play as well! 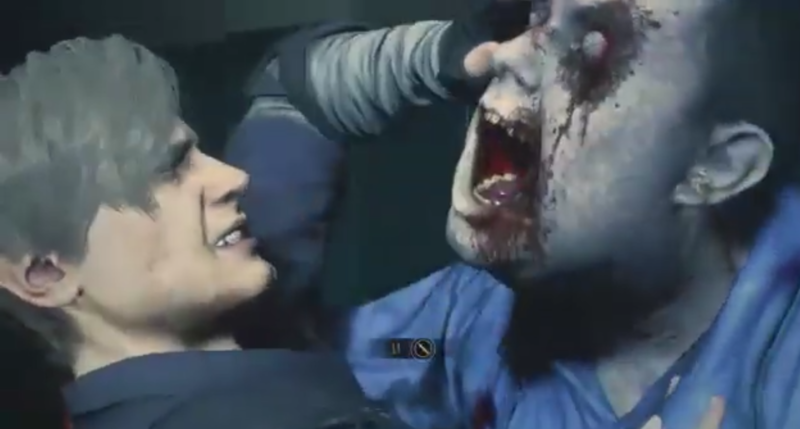 Check out the start of the Resident Evil 2 remake! Right from the outset the Resident Evil 2 remake gives you all the nostalgic chills of the original game. Essentially the same in many ways, yet updated with gorgeously detailed modern graphics, and new slants on classic moments from the original Resident Evil 2. So far I’ve played the opening, starting at a creepy gas station, before reaching the Raccoon City Police Dept, where I’ve encountered hordes of zombies, the fearsome Lickers, a grotesquely mutated William Birkin, and the relentless Tyrant! I’ve had a blast playing the game so far, so I look forward completing the rest of it, and then doing the next play though as Claire. Thanks for checking out and supporting my YouTube channel everyone! I’ve been playing some more Dark Souls 3 recently, battling through the Catacombs of Carthus, and my new video features the exciting boss fight with High Lord Wolnir. I must admit, it took me by surprise, I thought the spooky skull cup I found was going to be treasure! Then I’m transported into a dark realm and a giant skeleton thing starts crawling out from an abyss, EEEEP! Somehow I managed to defeat it on my first try. That’s what I like about Dark Souls 3, sure, it can be a really difficult game at times, frustrating even, but it rewards you with brilliant moment like this, all of the locations are so different and detailed as well, and you never EVER know what to expect next. Well, hope you enjoy the video and please feel free to hit that like button and subscribe if you do. Cheers! Thank you for checking out my YouTube channel Paul Bowler YouTube and for all your support everyone! I started played Uncharted 4 A Thief’s End recently, and my latest video is from Chapter 11: Hidden In Plain Sight. The clip features some great action from end of the chapter, where Nathan and Sully escape in their jeep and chase the convoy to rescue Nate’s brother, Sam. This was my favourite bit so far in Uncharted 4, I’ve been enjoying this game so much! I don’t tend to be that good at driving sections in games though, so please excuse my terrible driving in this LOL! Hope you enjoy the video and please feel free to hit that like button and subscribe if you do. Cheers! Hi, and thank you everyone for checking out my new YouTube channel Paul Bowler YouTube since it started. I’ve been a bit busy recently, so I haven’t had as much time to play PS4 games for a week or so. But, I’m getting back into Dark Souls 3 again now, and I’ve also been playing Uncharted 4 A Thief’s End. I’m a big fan of the Uncharted game series, Uncharted 4 is awesome, I’m really enjoying it, and the game looks stunning! So my new video features some gameplay footage from Uncharted 4, Chapters 2 & 3, I thought this was a really exciting early part of the game and I love the opening titles! There are some spoilers concerning the storyline in the video, so please don’t watch it if you haven’t played the game yet. I was pleased with how this particularly video turned out, I hope you enjoy it too, and please feel free to hit that like button and subscribe if you do. Well, first off I’d like to say a big thank you to everyone for supporting my new YouTube channel Paul Bowler YouTube My last video was my first attempt at editing clips from my initial run through Bloodborn The Old Hunters. Many of you got in touch with me afterwards with lots of helpful advice, encouragement, and suggestions. Cheers everyone! With your help I’ve been getting to grips a bit more with editing stuff now, had some good recommendations on choosing a headset, and I want to have a go at maybe streaming gameplay next. I’ve also just started playing Dark Souls 3, its a brilliant game, and my latest video is a great boss fight from Dark Souls 3 defeating Vordit of the Boreal Valley! Love the music in these boss battles, they make the game feel so epic and exciting! Looking forward to starting Uncharted 4 A Thief’s End next! Hope you enjoy the video, and please feel free to like, share, comment, and subscribe if you do. As I’ve been playing a lot of Bloodborne lately I thought I’d get The Old Hunters DLC as well. So, since I started my YouTube channel Paul Bowler YouTube I thought it’d also be a good opportunity to use my initial run though The Old Hunters to make a new video, and have a go at editing it. I’ve never tried anything like this before, so its a bit rough around the edges, but I enjoyed having a go at editing for the first time. Well, here is the result! Let me know what you think. Hope you enjoy and please feel free to like and subscribe if you do. As you know, I started a new YouTube channel Paul Bowler YouTube recently. I’m gradually figuring out how everything works, editing videos ect, I’ve set up a promo video for my channel, posted some more game clips, and I’m also thinking about streaming gameplay from my PS4 maybe at some point as well. My YouTube channel is still in its very early stages atm, thanks for all the encouragement and feedback I received after my last post, so if you’ve got any more suggestions, or advice, do let me know in the comments. I’m really looking forward to playing Dark Souls 3 and Uncharted 4 when they are released, right now I’m enjoying playing Bloodborne. It’s a tough game, but I like a challenge, and my latest video is an electrifying boss fight with The Darkbeast Paarl! Well, hope you all enjoy the videos, and please feel free to like or subscribe if you do. Just a quick post to let you all know that I have a YouTube channel now Paul Bowler YouTube . As I like to play PS4 games I thought it might be fun to have a YouTube channel to post some gameplay footage, actually one of my followers on Twitter suggested it, so I thought I’d have a go. On this channel I’ll be posting some of my PS4 gameplay, along with TV, Film, & Playstation trailers that interest me. Its still very much a work in progress atm, so I‘ll see how it goes. Hope you enjoy the videos and feel free to like or subscribe if you do. Cheers!